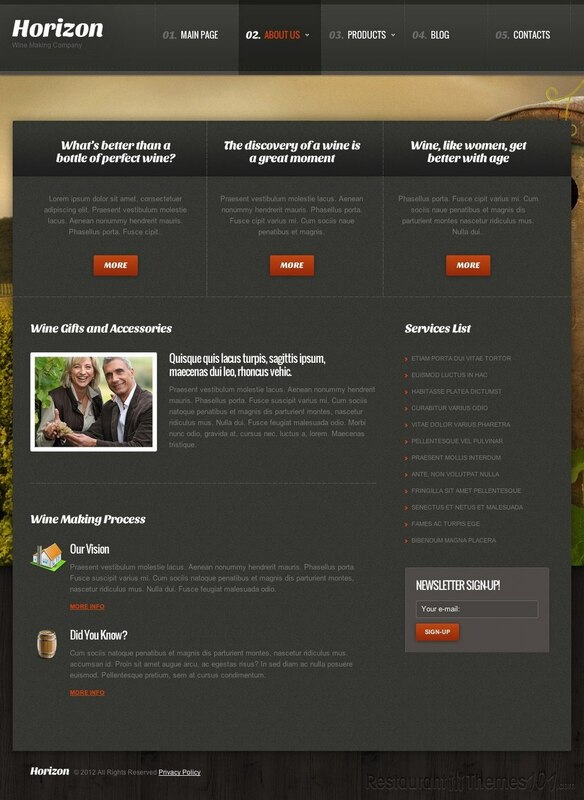 Horizon is a winery theme for WordPress created by Mira and presented on Template Monster. 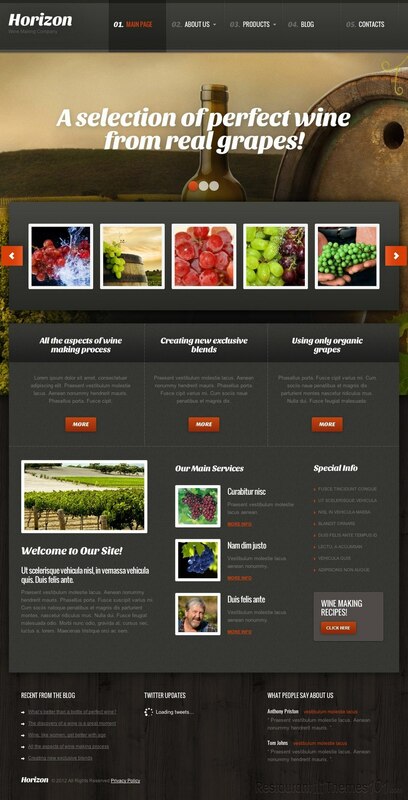 The theme has a very elegant and interesting design with the perfect color and pattern combination for a winery. 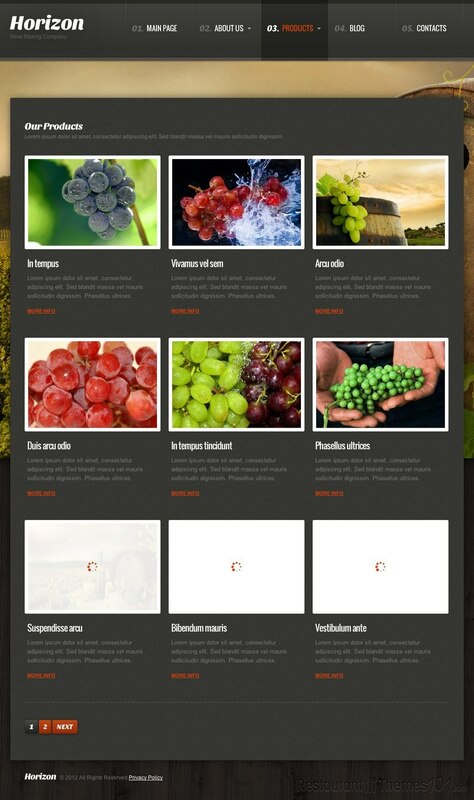 The homepage features a nice slider where you can put eye-catching photos that lead to interesting info on the wine from your winery, or anything else you would like to show them through photos and words. You will be able to write as many blog posts as you want, because this theme features a blog section which will let you introduce your visitors to just about anything you can think of. The layout has a huge space for your content area so you can freely post as much as you like and have the posts you want to feature be placed right on your homepage so your visitors can see the newest posts the minute the open your website. The “about us” section is perfect for posting FAQs or placing your archives with past posts so your visitors can easily find them. 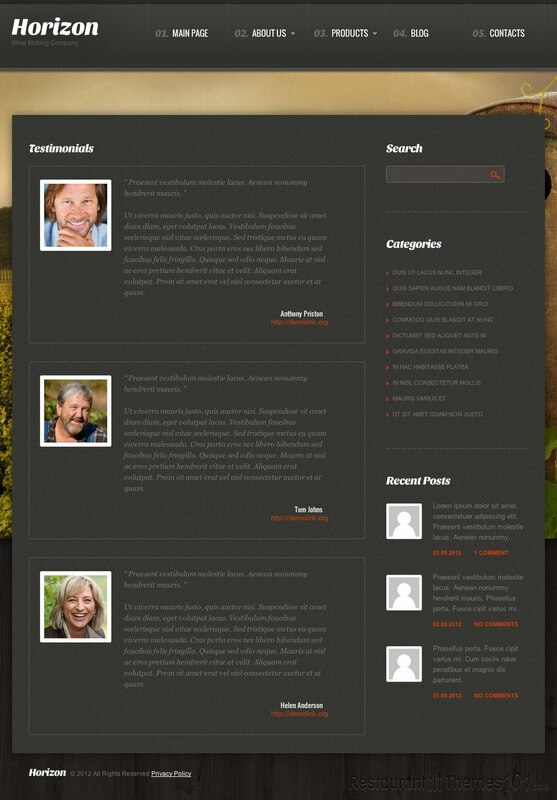 You can also post testimonials from your customers here, and have them speak the truth about your fabulous winery. The “products” section will allow you to place all of your products in categories and present them to your visitors in a nice, clean way so they can find what they are looking for in no time. There is also a nice amount of space for banners, your Twitter updates, or anything else you would like to add to this theme. 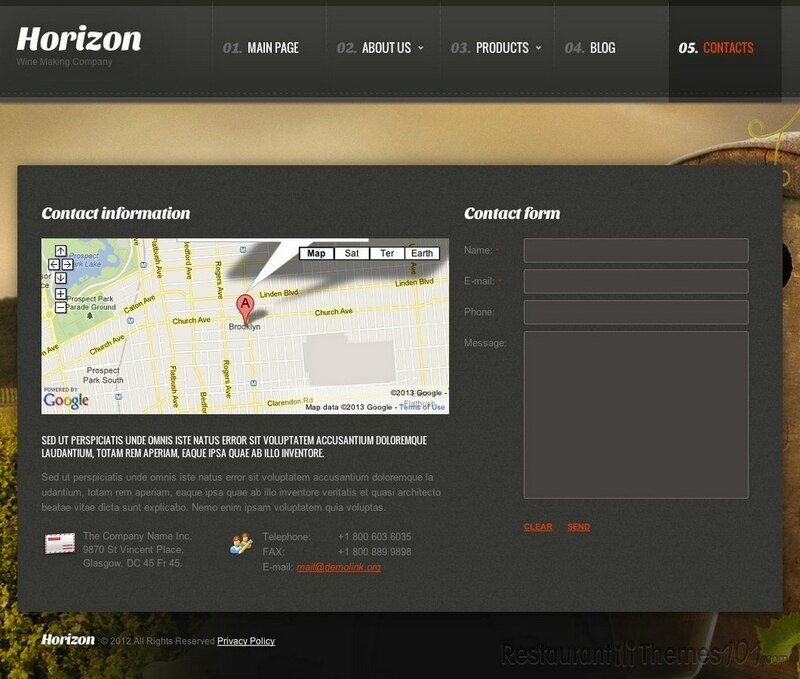 The Horizon theme features a great admin panel through which it will be very easy for you to manage your website and you will get detailed instructions on the installation so you don’t have to worry about handling your website. You will be able to do it with ease.